You have added Boho Braiding Maxi Dress in Aqua into shopping cart. This gorgeous maxi dress has a laid-back bohemian vibe we love. The Boho Braiding Maxi Dress is fully lined to the mid-thigh. It has a V neckline, adjustable spaghetti straps, and a lightly padded bust. The empire waist of this dress is decorated with a band of braided rope designs. The full length maxi cut makes this the perfect dress to pack on vacation! An exposed back zipper completes this dress. The Boho Braiding Maxi Dress is a cute maxi dress that can be dressed down with flat beaded sandals or dressed up with wedges. Details: Lined to mid-thigh. Lightly padded bust. Adjustable spaghetti straps. Exposed back zipper. 100% rayon. Lining: 100% polyester. Dry clean only. Small measurements: Length from top of bust to hemline: 54". Bust: 32". 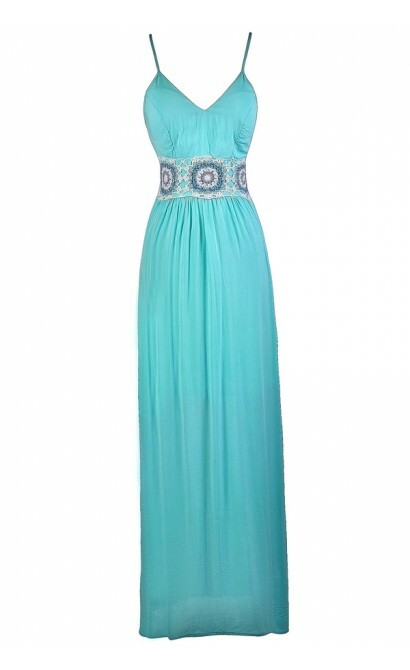 You have added Boho Braiding Maxi Dress in Aqua into Wishlist. You have added Boho Braiding Maxi Dress in Aqua for Stock Notification. 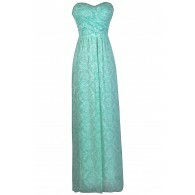 You have set Boho Braiding Maxi Dress in Aqua as a loved product. 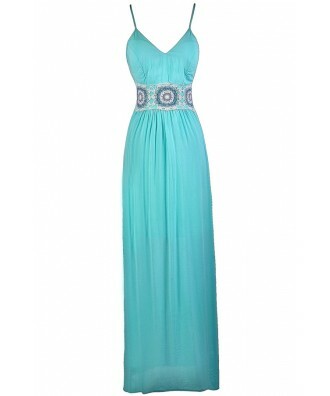 You have removed Boho Braiding Maxi Dress in Aqua as a loved product.